3.9 out of 5 based on 26 bloggers and 3 commenters. 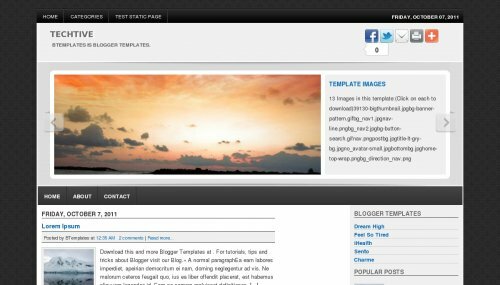 Techtive is a free blogger template adapted from WordPress with adapted from wordpress, right sidebar, footer columns, slider, social bookmarking icons, posts thumbnails and drop down menu. Its an awesome theme and is compatible with almost all blogger widgets and features.so i suggest one should always use it. if you need to see yourself. if you could help solve these problems I would be very grateful.